After a few, all-too-brief days of glorious blue skies, sunshine and warm breezes, it has been raining for the past five days straight. And, if we are to believe the weather forecast (even though that's often a foolish thing to do), we're in for more of the same for the foreseeable future. Blech. Unfortunately, I am not blessed with the "sunniest" of dispositions and when it is gray out for days on end (or, to be honest, even just a few hours), I begin to feel tired, cranky and a tad despairing. One way I've found to beat the rainy day week blues is to cook something really delicious and cozy. 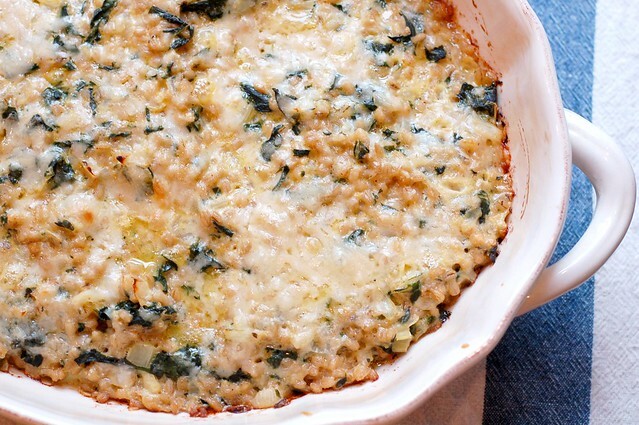 So when Sunday dawned just as gray, wet and depressing as the previous few days had been, I decided to try out a variation on this delicious, hearty barley and greens gratin that I'd spotted in the New York Times' Recipes for Health column earlier in the week. 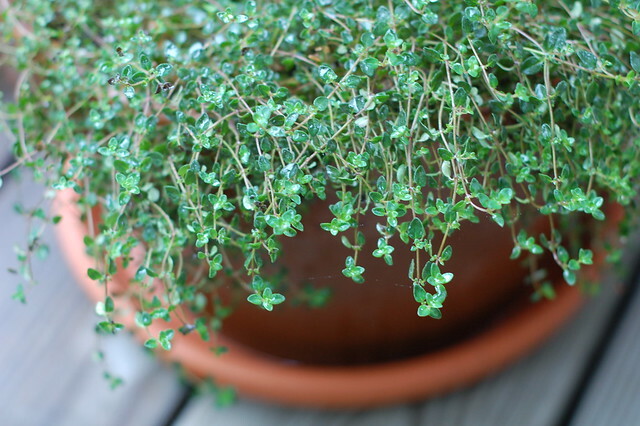 I was primarily drawn to this recipe by the barley - it sounds so filling and unpretentious. I can imagine a big, bustling family of French peasants devouring this dish with gusto after hours in the fields, n'est-ce pas? I substituted Swiss Chard for the beet greens since I did not feel like dealing with beets and also found the thought of chard's brilliant greenery appealing. I served this for lunch along with a green salad topped with roasted beets, a nice crumbly sheep's milk feta cheese, and sliced cucumbers. It did the trick. I am REALLY hoping that the sun comes out soon, though! 1. Preheat the oven to 375 degrees. Grease a 2-quart gratin dish with butter or olive oil. 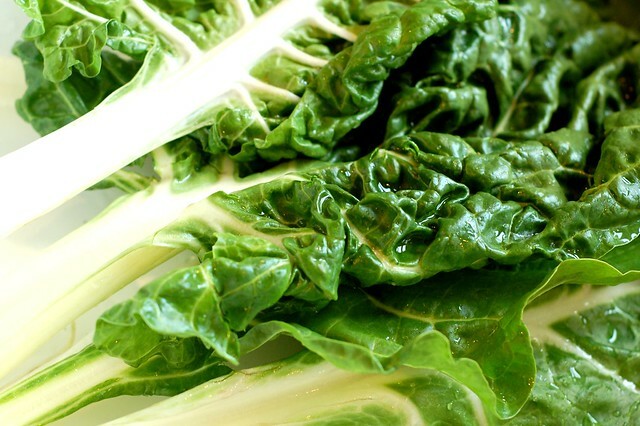 Steam the chard leaves or other greens over 1 inch of boiling water for two to five minutes until wilted and tender. Rinse with cold water, squeeze out water and chop medium-fine. Set aside. 2. Heat the oil over medium heat in a large, heavy skillet. Add the onion and cook, stirring, until tender, about five minutes. Add the garlic, the chopped chard ribs and a generous pinch of salt. Continue to cook for another minute or two until the garlic is fragrant. Stir in the cooked greens and the thyme, and toss together. Season to taste with salt and pepper. Remove from the heat. 3. 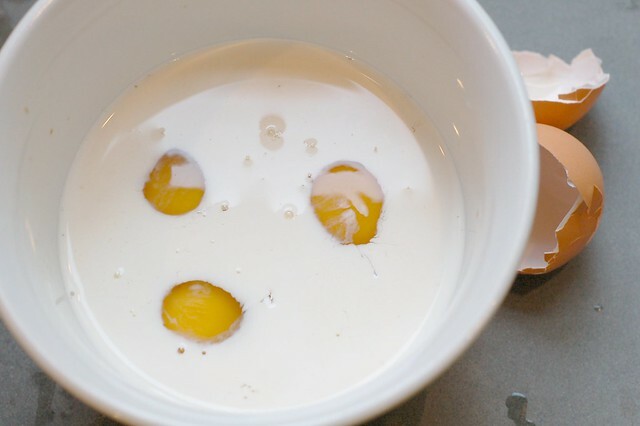 In a large bowl, beat together the eggs and milk. Add the mustard, Worcestershire sauce, 1/2 teaspoon salt and freshly ground pepper to taste. Stir in the greens mixture, the barley or rice, and the cheeses. Mix together well. Scrape into the oiled baking dish. 4. Bake 35 to 40 minutes until sizzling and lightly browned on the top and sides. Remove from the heat, and allow to sit for at least 10 minutes before serving. Oh, I think you've just answered my question about what I want for dinner! This looks delicious, especially with the cold weather setting in. Glad someone is getting some sun! glad there is some sun somewhere, at least! Ha! Brent, I can explain... I'd roasted a big bunch of beets a couple of days previous and was not eager to jump into a whole new mess of 'em just to get to the greens. Thanks, Eve! 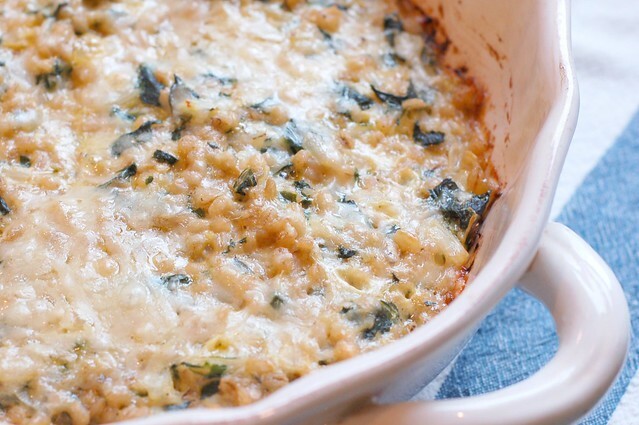 We have an abundance of chard right now at the farm so I'll use this recipe. We had 1.5 hrs of sun today; hope you got some of it, too! It looks delicious! I always like it when ingredients are as fresh as the greens in your very own backyard. You will always taste it's sweet flavor. Enjoyed this. However, the instructions don't mention when to add the Worcestershire sauce or Dijon mustard, so I added them to the eggs/milk mix. I think it could use more Worcestershire sauce though. Next time, I'll also add cut cherry tomatoes - about half a cup to the recipe just before baking. Good News - More Farms Are "Hoofin' It"